Ducting works in conjunction with heating, ventilation and air conditioning (HVAC) systems to distribute heated or cooled air throughout a structure. While the most basic ducting is made from sheet metal, most ducting used in residential applications is insulated, such as R6 or R8 ducting. Ducts deliver heated or cooled air throughout a structure. The R-value indicates a thermal insulator's effectiveness in resisting heat conduction. It is measured in relation to thermal conductance, which takes into account the thickness of the material and energy conducted in relation to the area and temperature difference between the two sides of the material. R8 ducting is more efficient than R6 ducting, reducing energy loss by approximately 2 percent, which is equivalent to consuming 3 percent less energy. However, R8 also has a wider diameter and may cost more. Always check your local building codes, as most areas have basic requirements for new structures, and some areas have basic requirements for retrofitting existing structures. 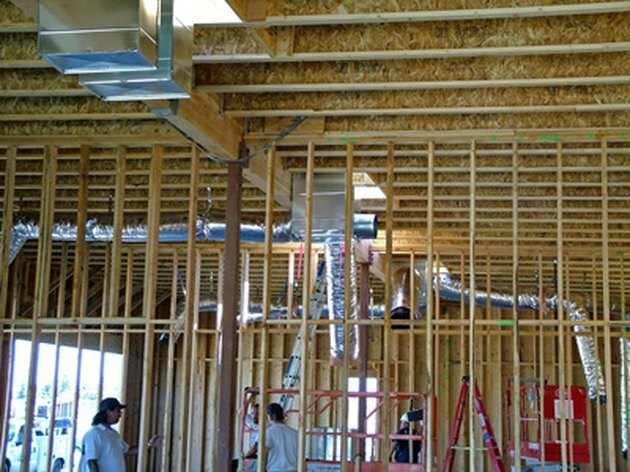 Other factors to consider are cost, climate and duct placement, as R8 ducts may be too large to fit in the space. Consult with a local building contractor if needed.